for all your Office Cleaning needs in London City, West End and Docklands. 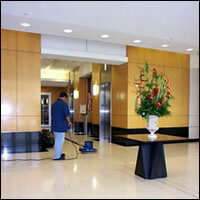 Ultimate Cleaning Services Ltd. provide office cleaners in the City of London and West End. Whether you require a daily, weekly or monthly office cleaning service, we can provide a solution tailored to your needs and budget - regardless of whether you require one or several office cleaners. We recruit qualified candidates into our organisation and then empower them to make measurable impact on our performance. We select people who have the capacity to make a difference - to their colleagues, our customers and themselves. All office cleaning contracts are supervised and regular visits take place to the sites to maintain contract specification and the highest cleaning standards. All employees will receive the appropriate safety induction on site before being allowed to commence work. All office cleaners are fully trained and uniformed - our aim is to provide the highest cleaning standards by using experienced staff. Aldgate, Bank, Barbican, Bayswater, Belgravia, Bishopsgate, Blackfriars, Bloomsbury, Broadgate, Bond Street, Brompton, Cannon Street, Chancery Lane, Charing Cross, Cheapside, Clerkenwell, Covent Garden, Eastcheap, Farringdon, Fenchurch Street, Grays Inn, Green Park, Holborn, Kensington, Knightsbridge, Leicester Square, Liverpool Street, London Bridge, Mayfair, Monument, Moorgate, Old Street, Oxford Street, Piccadilly, Pimlico, Shoreditch, Soho, Southbound, St James', St John's Wood, St Paul's, Temple, The City, The West End, Tottenham Court Road, Tower Bridge, Tower Hill, Trafalgar Square, Victoria, Westminster, Whitehall. 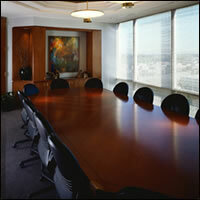 for contract office cleaning in London City, West End and Docklands.